A Pumpkin Coupon & Specials! Pumpkin lovers, unite! Enjoy this coupon for $1 off your next pumpkin purchase at Eat’n Park. We've got all your pumpkin needs covered! • Pumpkin Spice Latte: The perfect way to start your day. • Pumpkin Chai Latte: Chai tea infused with fall. 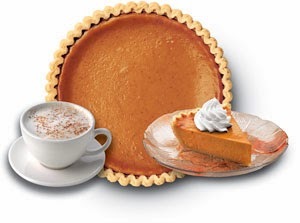 • Pumpkin Pie: Made fresh daily! • Pumpkin Crème Pie: A delightful twist on our traditional pumpkin pie. • Pumpkin Pie Milkshake: A sinfully delicious pie in milkshake form. Go ahead and have your pie and drink it too! Stop in to your local Eat’n Park today for pumpkin spice, and everything nice!